Lock in a great price for The HarbourView Place @ the ICC megalopolis – rated 9.2 by recent guests! 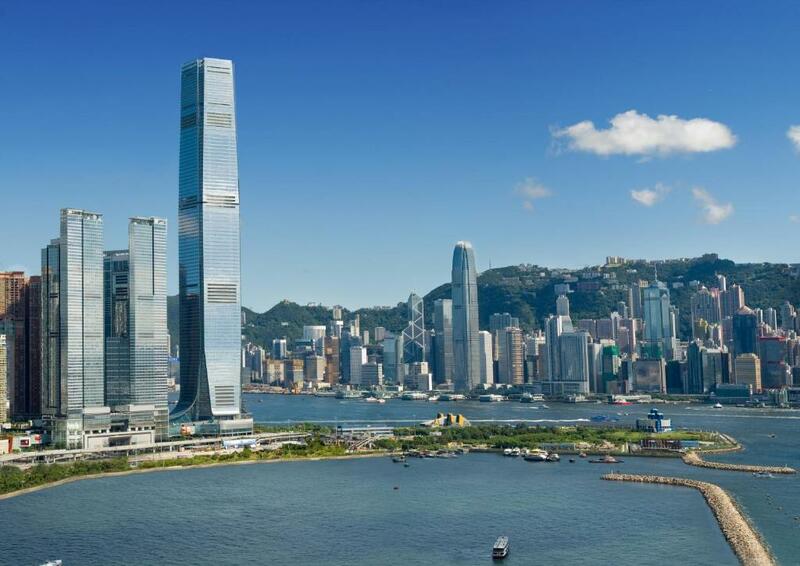 The HarbourView Place is located on the 50-70 floors of The Cullinan Tower, right next to ICC, the tallest building in Hong Kong and directly atop Elements shopping mall and Kowloon Station along the Airport Express Line. It takes 21 minutes to Hong Kong International Airport and is a short 5-minute train ride to Central. Overlooking the city or harbor, the air-conditioned rooms and suites all come with the city-rared fully equipped kitchenette with Nespresso machine and washing and drying machine, a LED flat-screen TV and DVD player as well as Sealy Pillow-top King size mattress. The suites are equipped with KEF 5.1 Entertainment System. 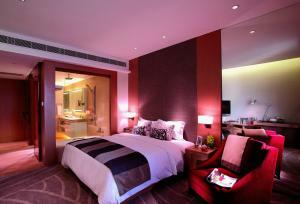 Each room has a private bathroom with a bath tub and a shower room with rain shower. There is a 24-hour front desk at the property. For recreational facilities, guests will be spoiled for choice with a heated outdoor pool shared with W Hong Kong, exclusive well-equipped gym and a Reading Lounge. 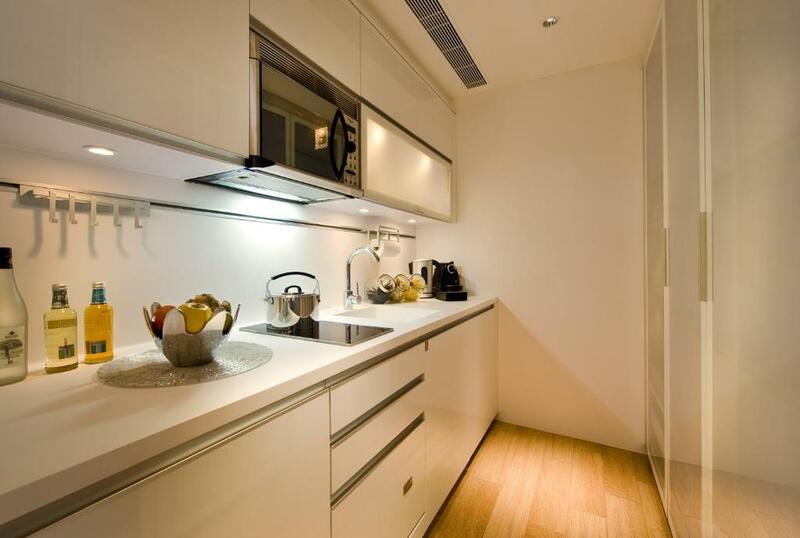 Added convenience is provided with laundry and concierge services. The HarbourView Place @ the ICC megalopolis is 0.7 mi from Temple Street Night Market and Kowloon Park. It is 12 mi from Hong Kong Disneyland and 14 mi from Hong Kong International Airport. 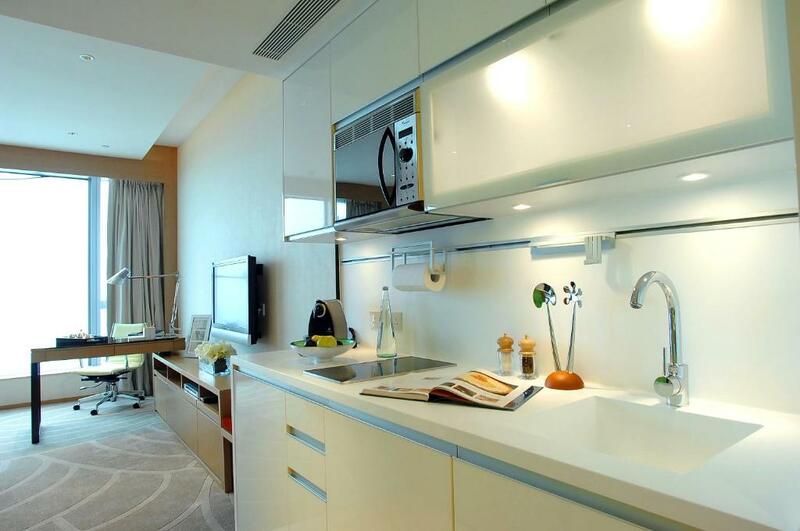 When would you like to stay at The HarbourView Place @ the ICC megalopolis? Featuring air conditioning and a king-size bed, this room comes with a flat-screen TV, a fully-equipped kitchenette and a washer-dryer combo. The private bathroom has a bathtub, rainshower, free toiletries and hairdryer. Featuring air conditioning and a king-size bed, this suite comes with a sofa, a flat-screen TV, a fully-equipped kitchenette and a washer-dryer combo. The private bathroom has a bathtub, rainshower, free toiletries and hairdryer. Featuring air conditioning and a king-size bed, this studio comes with a sofa, a flat-screen TV, a fully-equipped kitchenette and a washer-dryer combo. The private bathroom has a bathtub, rainshower, free toiletries and hairdryer. Featuring air conditioning and a king-size bed, this suite comes with a sofa, flat-screen TV, a fully-equipped kitchenette and a washer-dryer combo. The private bathroom has a bathtub, rainshower, free toiletries and hairdryer. Featuring air conditioning and 2 bedrooms, this suite comes with a sofa, a flat-screen TV, a fully equipped kitchenette with open countertop and a washer-dryer combo. One bedroom is fitted with a king-size bed, while another one is fitted with 2 single beds. The private bathroom has a bathtub, rainshower, free toiletries and hairdryer. Featuring air conditioning, a study room and 3 bedrooms, this suite comes with a sofa, a flat-screen TV, a fully equipped kitchenette and a washer-dryer combo. One bedroom is fitted with a king-size bed, one has 2 single beds, while another one comes with a single bed. The private bathroom has a bathtub, rainshower, free toiletries and hairdryer. Featuring air conditioning, a study room with day bed and 3 bedrooms, this spacious suite comes with a sofa, a flat-screen TV, a fully equipped kitchenette and a washer-dryer combo. One bedroom is fitted with a sofa bed, while the other 2 rooms have 1 king-size bed per room. The private bathroom has a spa bath, electronic bidet, rainshower, free toiletries and hairdryer. The separated living area is designed by a world-renowned designer. Featuring air conditioning, a maid room and 3 bedrooms, this spacious suite comes with a sofa, flat-screen TV, branded acoustic devices, fully equipped kitchenette and washer-dryer combo. One bedroom is fitted with 2 single beds, while the other 2 rooms have 1 king-size bed per room. The private bathroom has a spa bath, rainshower, electronic bidet, free toiletries and hairdryer. The separated living area is designed by a world-renowned designer. 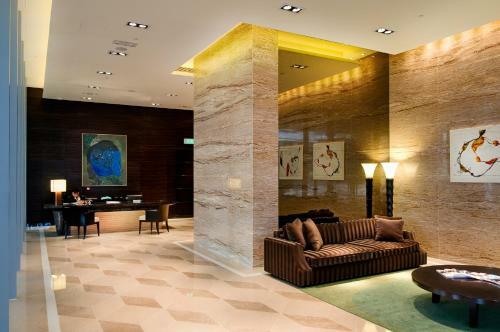 The HarbourView Place, a luxury suite hotel in Hong Kong, is another proud masterpiece from Signature Homes of Sun Hung Kai Properties after the resounding success of its sister project, Four Seasons Place. Located on the 50th-70th floors of The Cullinan II, The HarbourView Place is an integral development in the International Commerce Centre (ICC) megalopolis in the vibrant heart of the city. With superb views of Victoria Harbour and the Kowloon Peninsula, The HarbourView Place offers unparalleled accommodation to discerning guests from around the world. Directly underneath The HarbourView Place is Elements, an up-market shopping mall featuring one million square feet, the home to major flagship stores for many international brands. Also on the doorstep are W Hong Kong and The Ritz-Carlton, Hong Kong with a great selection of fine dining and glitzy spots for entertainment. On the 100th floor of ICC is sky100. Standing at 393m above sea level, sky100 is the highest indoor observation deck in Hong Kong. sky100 not only offers a mesmerizing 360-degree view of the city, but its fine dining options on the 101st floor also promise an unparalleled experience. With the famous Lan Kwai Fong and SoHo districts a few minutes’ MTR ride away, our guests are spoilt for choice for a world-class lifestyle. 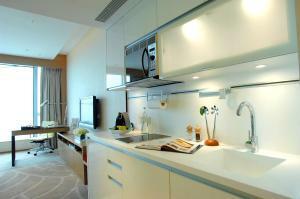 House Rules The HarbourView Place @ the ICC megalopolis takes special requests – add in the next step! All children under 12 years are charged HKD 260 per night for extra beds. 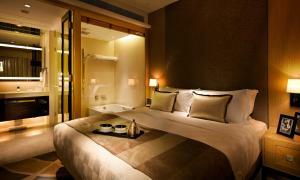 Any additional older children or adults are charged HKD 260 per night for extra beds. The HarbourView Place @ the ICC megalopolis accepts these cards and reserves the right to temporarily hold an amount prior to arrival. The property guarantees early check-in at 08:00 on the arrival date with no extra cost and guarantees late check-out at 18:00 on the departure date with no extra cost. Please note that only the credit card holder for the payment of this booking is applicable for check-in, no 3rd party is allowed. 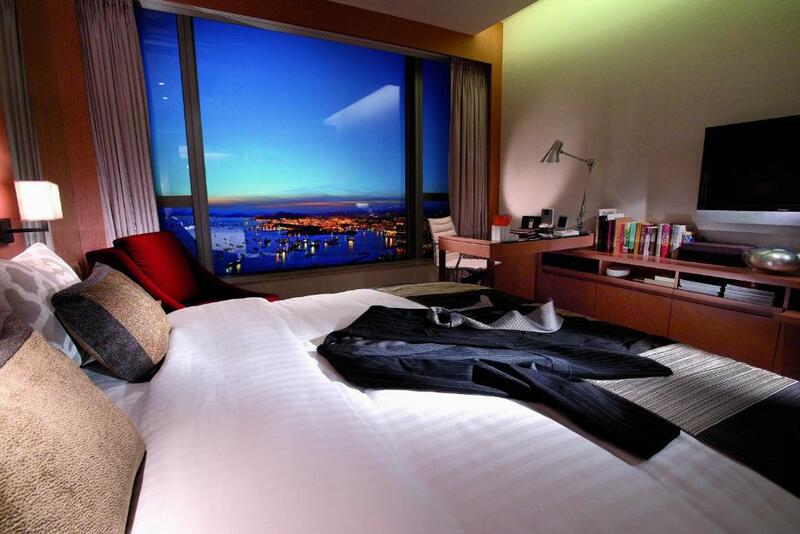 Please note that incidental charges HK$500 per day by credit card imprint will be collected upon check-in. Please inform The HarbourView Place @ the ICC megalopolis of your expected arrival time in advance. You can use the Special Requests box when booking, or contact the property directly using the contact details in your confirmation.